The management of proximal humerus nonunions and malunions can be challenging for even the most experienced shoulder surgeon. To adequately diagnose and properly treat proximal humerus nonunions and malunions, the surgeon must understand the etiology. The correct preoperative evaluation should be adequately performed including a detailed history, physical exam, review of laboratory values and appropriate imaging. The role of nonoperative management should be understood and chosen if appropriate. 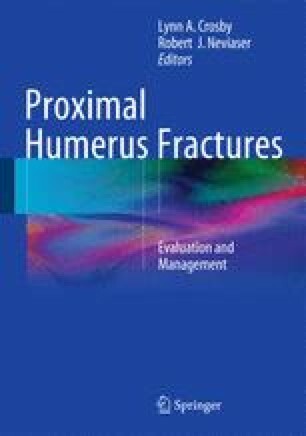 There is currently no gold standard for treatment of malunions and nonunions of the proximal humerus. If surgical intervention is performed, then the correct surgery should be chosen on the best available literature that exists for each type of proximal humerus nonunion and malunion to guarantee the best outcome for both the patient and surgeon.